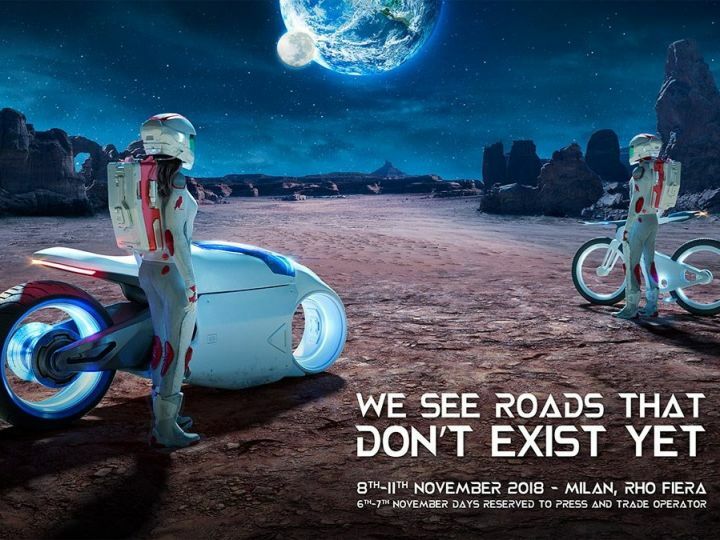 Here is a comprehensive list of all the major updates from the ongoing EICMA 2018 so that you don't miss out on any action from one of the most important motorcycle shows of the year! Taiwan-based motorcycle manufacturer Kymco created positive headlines at EICMA by revealing an all-electric superbike. Called the SuperNEX it has a claimed 0-100kmph time of under 3 seconds with a top speed of 249kmph! How is this possible? Read details here to find out. It may be on recovery mode in India, but Benelli had a booth full of motorcycles at EICMA, Italian pride on full show. Benelli surprised us with the neat looking Leoncino 800, previewing the big brother of the Leoncino 500. It looks like an all-new model, with only some parts shared with the Benelli 752S. More details here. Taiwan-based KYM has showcased three brand new scooters at EICMA including a range-topping Maxsym TL maxi-scooter powered by a twin-cylinder 465cc engine. More details on all their products at the show here. Royal Enfield has taken the wraps off a concept-only motorcycle, this is the Concept KX. Inspired by the 1938 Royal Enfield KX, the Concept features old-school bobber design - along with a V-twin 838cc engine. More details here. All the Honda CB500 motorcycles - the CB500F, CBR500R And CB500X - have been given multilpe updates for the new model year. This includes a retune for the 471cc parallel-twin engine, new mechanicals and of course, updated look. Check out the details here. The CBR650 naked and faired bikes receive sharper styling, lose weight for better performance, come equipped with a new all-digital console and a sportier riding posture. Read all the details here. Husqvarna's beautiful range of motorcycles at EICMA encompassed different ranges of the motorcycle spectrum. The Swartpilen 701 was shown in its production form, looking as striking as the concept that it was previewed by last year and powered by the same motor as the KTM 690 Duke. The fantasy showcase this year was the Vitpilen 701 Aero Concept, essentially a retro-modern half-faired motorcycle based on the Vitpilen 701. The showcase was rouunded up by the EE5, an electric motocross bike aimed at beginners. All the details here. Husqvarna has revealed the production version of the Svartpilen 701. The cafe racer will hit European floors by early 2019 but doesn't look as striking as last years’ outrageous concept. More details here. Husqvarna has cracked the new-retro formula with the Vitpilen 701 cafe racer. The motorcycle is all about style, though it does have the same explosive 692.7cc engine as the KTM 690 Duke. More details here. The Aprilia RS660 Concept previews a middleweight faired-motorcycle aimed at those looking for an upgrade to the big leagues, but are not looking for a track machine. Details here. Piaggio showcased products across their brands. This included the updated versions of the Aprilia RSV4 (bump in power) and Aprilia Tuono V4 (semi-active suspension) and the all-new Vespa Elettrica all-electric scooter. More details here. Hero MotoCorp showcased only concepts at EICMA 2018, but all of these are based on the upcoming XPulse 200 ADV and at least one of them will make it production based on an online competition. The concepts shown were the 200T, 200T Scrambler, 200T Desert, 200T Flat Track and the 200T Cafe Racer. More details here. Kawasaki has pulled the wraps off its 600cc supersport monster, the ZX-6R, at EICMA 2018. Though it is a midlife refresh, the changes are significant. The fairing is new along with the tail piece. It now also gets LED headlamps along with a new windscreen and a new instrument cluster. It is powered by the same 636cc inline-four as before but now makes 1.3PS less in order to adhere to Euro V emission norms. The 6-speed gearbox now gets a quickshifter. Traction control has also been added to the features list. It will be launched in India next year. Click here for the full story. It's hard to believe that It has been 10 years since the first generation BMW S1000RR made a world debut. And now, at the 2018 EICMA, the litre-class superbike from Munich has now been reinvented, and gets new everything! Here are the details. BMW Motorrad has unveiled 6 new motorcycles at the 2018 EICMA show. The one’s grabbing the headlines are the 2019 BMW S1000RR, the BMW R 1250 GS and the BMW F 850 GS Adventure. Have a look at the lineup right here. Triumph has its eyes set on the off-roading enthusiast at the 2018 EICMA. The Brit has showcased the 2019 Triumph Scrambler 1200 twins at the show which will rival the likes of the Ducati Scrambler 1100 rival. It comes in two variants: base XC and the top-of-the-line XE version, which is a lot more offroad-centric than the former. Want more, Triumph also took the wraps off the two special-edition motorcycles based on the Bonneville T120 - the T120 Diamond and T120 Ace, both limited to 900 and 1400 units respectively. Have a look. Plying on its strengths, triumph has also showcased its 2019 Modern Classics lineup at the 2018 EICMA. The range now includes two new variants called the Bonneville T120 Ace Edition and T120 Diamond Edition. An ode to the original Triumph Bonneville which was launched way back in 1959, the Bonneville T120 Diamond Edition gets a new paint job, a Union Jack livery and chromed out engine covers and panels. Only 900 units of the Diamond edition will be made available worldwide. More info. With the world watching, Yamaha has showcased its entire 2019 range of motorcycles at the EICMA 2018 show. These vehicles include concepts, scooters and motorcycles that will play on your heartstrings. Have a look! After taunting the world with the T7 concept last year, Yamaha has finally unveiled the production version of the Tenere 700 World Raid. It looks just like the concept and could be your ideal partner in a post-apocalyptic scenario. Don't believe us? Have a look for yourself. If it's the track which tickles your bone, Yamaha won't leave you disappointed. The Japanese bike maker has taken the wraps off the all-new 2019 R125. And while it looks reminiscent to the Yamaha R15 V3 sold in India, it gets a few updated components to keep up with its competition. Not to forget, it even gets the VVA (Variable Valve Actuation), also present on the R15 V3.0. Check it out. 2019 Yamaha YZF-R3: Why Do We Crave It? Let me put it out there, we adore the Yamaha YZF R3. And After unveiling the 2019 model last month, Yamaha has now showcased the 300cc sports bike at the 2018 EICMA show in Milan, Italy. CArrying the flagship R1’s design, the R3 now looks a lot more compact than the previous-gen model, thanks to the relatively smaller and slimmer LED headlights and smooth lines on the fairing. More details of the 2019 Yamaha R3 here. Ducati showcased its entire 2019 range two days ahead of EICMA 2018. In the event, the Italian bikemaker showcased the 2019 Scrambler range, the Monster and the Multistrada 1260 Enduro -- all motorcycles that we’ve seen before. But the exciting part was the unveil of the all-new Ducati Multistrada 950S, the 2019 Ducati Hypermotard, 2019 Ducati Diavel and the Ducati Panigale V4 R! Check them out here. Ducati unveiled the Multistrada 1260 Enduro to the world just before EICMA 2018. A more off-road focused variant of the popular adventure tourer, the 1260 Enduro joins the ranks of the Multistrada 1260, the Multistrada 1260S and Multistrada Pikes Peak in Ducati’s lineup. The big news, of course, is the new 1262cc L-twin motor that powers the Enduro. Read more about the new Multistrada 1260 Enduro here. Ducati has just hit the enthusiast with something big. If the Panigale V4S could not satisfy your hunger for power, Ducati has now showcased the Panigale V4 R, a 221PS missile which is now the second-most-powerful production bike after the Kawasaki Ninja H2. Interested? Read more here. The Ducati Hypermotard has its own set of fans. And for these fellows, the 2018 EICMA has come as a delight as Ducati has unveiled the latest iteration of the Hypermotard 950 and 950 SP! Have a look at them here. Alongside bikes like the Diavel 1260, Hypermotard 950 and the Panigale V4 R, Ducati has also showcased an updated ‘S’ version of the Multistrada 950. The 'S' now comes with a full LED headlight, a 5-inch TFT colour display, backlit switchgear controls and a hands-free keyless ignition system. More importantly, it gets a bi-directional Ducati QuickShift (DQS), cruise control, hydraulic clutch and a Bosch Cornering ABS. Read more. After giving us a glimpse of the bikes prior to 2018 Intermot, Ducati has showcased the Scrambler 800s to the world. And while the changes to the bikes aren't drastic, Ducati has improved upon the neo-retro styling of the Scrambler. Check them out right here. Ducati had unveiled the second-gen Diavel 1260 and 1260 S at the Ducati World Premiere. They now get a larger 1262cc DVT L-twin motor instead of the 1198cc engine that powered its predecessor. As a result, yhe power is up by 15PS, to 159PS, as is torque, from 123Nm to 128.8Nm. Know more here.